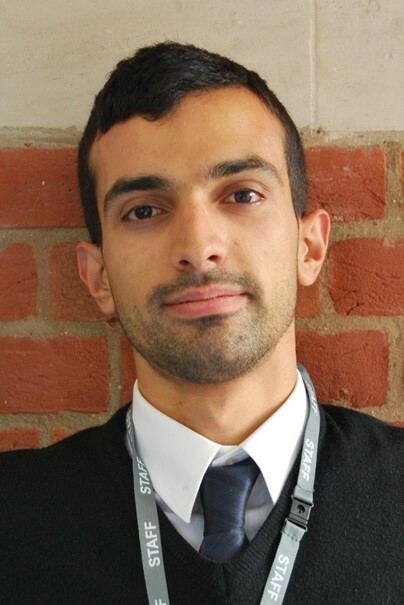 City’s Careers Service helped Demetrius secure a placement year at the Department of Health on Whitehall. Hi! I’m Demetrius Michael and I’m currently on a year’s work placement. I wanted to tell you about the last couple of years and how they’ve helped shape my experience at university and my future plans. About half way through my first year at City, I started thinking about work placements. It had always been my intention to take a year out. I think experience is vital in helping you stand out to prospective employers at any stage of your career. Soon after I joined City, I approached the University Careers Service who were more than happy to help me start thinking about placements. I booked a short one-to-one and got some really useful tips on my CV and how to tailor it. They also introduced me to Unitemps who work with the university to offer students temporary paid employment. This was my first taste of paid work and a very useful way of racking up some experience in a number of different roles! It’s flexible- you simply register and apply to whichever job(s) appeal to you. I soon started to rack up experience working at open days, the clearing hotline and more. As well as earning some money – always great for a student – the practical experience I got through Unitemps was really helpful when it came to completing placement applications. I was able to use what I’d done to demonstrate the competencies the placements required. The Careers Service also talked me through the range of internship schemes out there. The careers advisor pointed me to a range of websites (including the university’s own Careers hub site) where I could find up to date information on vacancies as well as opening dates for applying. I secured several very different interviews, which were really interesting and a useful experience in itself. In the end, I was offered a post at the Department of Health on Whitehall. And this is where I am today. I started here in August 2015 and will remain till August 2016. It’s been a highly challenging and engaging time. I work in the Department’s Strategy Unit which offers a dynamic working environment and an insight into the range of work carried out across the Department. They give you a lot of responsibility- within a day I had my own seat, PC, login and was being involved in putting together the Department’s strategy for the next few years. At first I didn’t know if I could hack it- it took me some time to understand and become comfortable with the lexicon used as well as the work style. However, I now feel like a valued member of the team, I’ve made friends who I’ll hopefully keep in touch with beyond this year, I’ve contributed to the work of the Department and gained vital skills and experience that will serve me well in the future. I’ve always been a rather shy person; this year I have had to communicate with a range of people at all levels of seniority, such that I am now much more confident. Furthermore, getting accustomed to the ‘9-5’ working day is such an important skill when, during your years of study, the routine will be only a few days at university a week. It instils a different type of responsibility, discipline and confidence. It’s made me a more rounded person and I’m now highly motivated to give my all to my final year of study. It’s important to say that you can’t expect any university to actually find you a placement. The careers service can be involved as much or as little as you like; if you put in a bit of effort, they’ll really help you. They were with me every step of the way, from improving my CV through to applying. They are there to help you make an informed decision and increase your appeal to potential employers. A vital service provided by the university. Before I end, I just wanted to include a couple of highlights from my first 5 months. I’ve bumped into Jeremy Hunt (Secretary of State for Health) in the lift which was a rather interesting experience, trying to generate small talk with someone who I’ve only ever seen on TV and who’s in the media spotlight at the moment. We chatted about how we spent the festive period. I’ve also visited Parliament on a couple of occasions, once to attend a social care hearing by the Public Accounts Committee and another time to listen to Health Questions. Both are things I wouldn’t have experienced if I hadn’t secured this work placement and as such, I’m grateful for the opportunities and flexibility given to me by the Department and more specifically, my team.